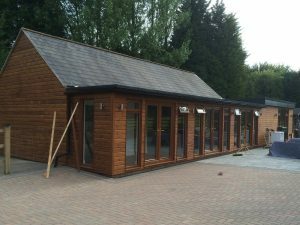 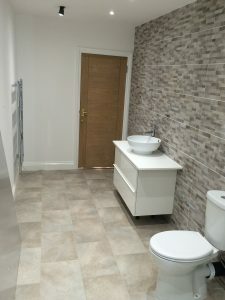 When 247 Plumbing Solutions were asked to install a bathroom in a new build barn in Wrotham, Kent we were out the stable door and on site quicker than an emergency call out. Working from existing plans and knowing the builder from other projects meant we could recommend new bathroom fixtures and fittings with the knowledge that the hidden works were up to our exacting standards. 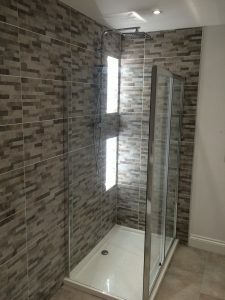 With a fully tiled stone floor and full length single wall and return, double shower unit with rain shower head, double chromed radiators and vanity unit with basin style sink the room was finished off with lit shelving. 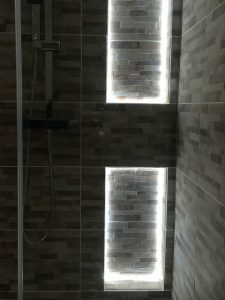 Recessed shelves within the shower enclosure provided space for everyday necessities which were tiled to match the walls and included LED strip lighting providing a beautiful side-light feature illuminating the rear wall. 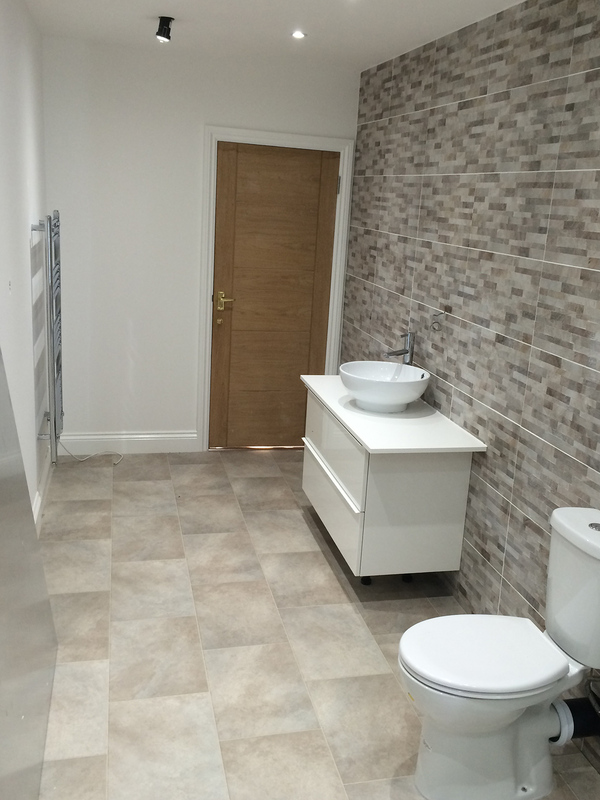 Considering a complete new bathroom or a refit of your existing bathroom? 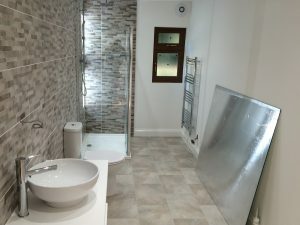 A new shower or sink unit? Perhaps even underfloor heating? Why not give us a call on 01732 323000 or contact us.